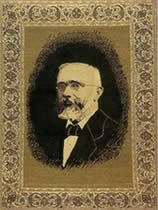 The name Reizidis has been synonymous, with the responsible care and flawless cleaning of rugs/carpets. In addition to the provision, of the highest quality on various services for carpets and precious rugs. Our manufacturing expertise which is rooted in Sparta, Asia, was transferred at the beginning of the century in Athens. By spreading the rich variety of designs, the excellent construction quality and the passion for weaving. A special handmade type of rug, which was named “Sparta” had then been created. With our private thread manufacturing units and trained weavers we assembled our looms across Greece and contributed to the development and further dissemination of handmade carpets in our country. In 1956 in an attempt to extend the sphere of our activities, we started up a new operation of “Reϊzidis carpet cleaning” and the first carpet retail shops in Athens were opened. The maintenance and care of carpets & rugs is a process which is more complex than the one of a cloth cleaning. This becomes clear if, we look at the structure of a rug. White Cotton & coloured Delicates. We Provide you with prompt and responsible service. We operate all year round and offer our services whenever you need us. We have become the 3rd generation in the family, with experience in washing and manufacturing of rugs. We’re always up to date regarding new techniques and cleaning materials. We guarantee the impeccable care and safe storage of your carpets. We always offer you superior service at competitive prices. We undertake cleaning and care on carpets, rugs, blankets, quilts, upholstery fabrics so you can enjoy cleaning and hygiene throughout the House, and/or yacht, or any other business property.